Keeping mature adults physically and mentally fitter, healthier & cognisant. 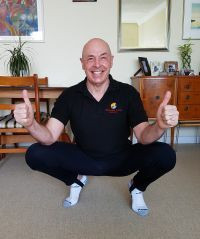 Safe & Sound is our specially designed music and movement programme of liberating and empowering chair based, standing and transitional exercises for more mature adults. 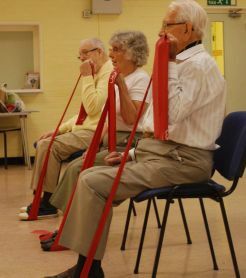 At Holistic Body Training we provide a valuable and interesting ‘music & movement’ chair based exercise programme designed especially for the elderly. Classes are presently being carried out across the region in Residential, Sheltered, Assisted Living and Nursing accommodation units in the Bournemouth and surrounding areas with equal success. We are an established, local, specialised team that can offer you a reliable, personal, quality service. The ‘Safe and Sound’ programme includes sitting, standing & transitional movements, and is scaled and tailored to individual group abilities, & needs. Exercises are also recommended and included for arthritis, parkinson’s disease, heart problems, diabetes, for the prevention of falls, prevention of dementia and for general good health and wellbeing. The classes cover the body from head to toe and offer a comprehensive full body & mind maintenance programme to keep you fit healthy for the rest of your days. 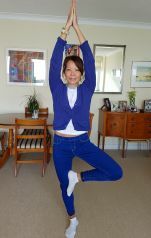 We also include bilateral assymmetrical exercises indicated in recent research to increase cognative ability and help stave off dementia. With appropriate positive background music the class is fun, entertaining, and very beneficial for our general health, fitness and wellbeing. It is also suitable for all levels of mobility. All instructors are CRB checked (enhanced), insured & qualified. All equipment is supplied, and sessions could possibly also free up staff time. It is also great fun and helps to build a valuable community feeling between participants. Safe and Sound works and don't just take our word for it! As the data below shows, Safe & Sound classes have a positive impact on the health, fitness and wellbeing of the participants and those that join in are happier and fitter. Thats Really great news! 72% of participants have personally noticed physical improvements since attending classes. with a further 15% not listing specific improvements. This also does not include those that thought that classes were helping to maintain their present level of ability. 86% of participants said that classes help improve their mood, making them feel happier, more settled, relaxed and re-vitalised. 64% have noticed an improvment in their balance. * This is an all inclusive figure that also includes classes with participants not able to stand independantly, so percentage figures for only people able to walk is actually higher. 77% were socialising better with staff and residents. 61% came to classes on thier own. 20% came with a friend. 10% came with a partner. 10% came in a group. 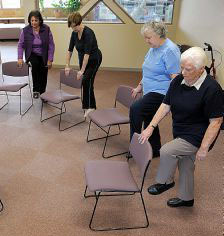 68% said their overall fitness had improved by attending classes. This figure excludes the number of attendees that had only recently started classes, and also those that thought the classes were maintaining their current level of fitness. 99% would recommend Safe and Sound classes to others. Efficient, helpful & cheerful. Teaches well, nice personality. Brilliant, clear, encouraging and sensitive to the needs of each individual. Excellent, patient & friendly. Dedicated & knowledgable with good advice. Thorough, friendly & polite. Encouraging & fun. Well informed, pleasant & helpful. Knows instinctively what we need. Great fun. Splendid.